100% of our profit goes toward sustainability-awareness and education!! the bottom line... ? "Thanks to the generosity of our founder ..."
You are the SOLUTION ! 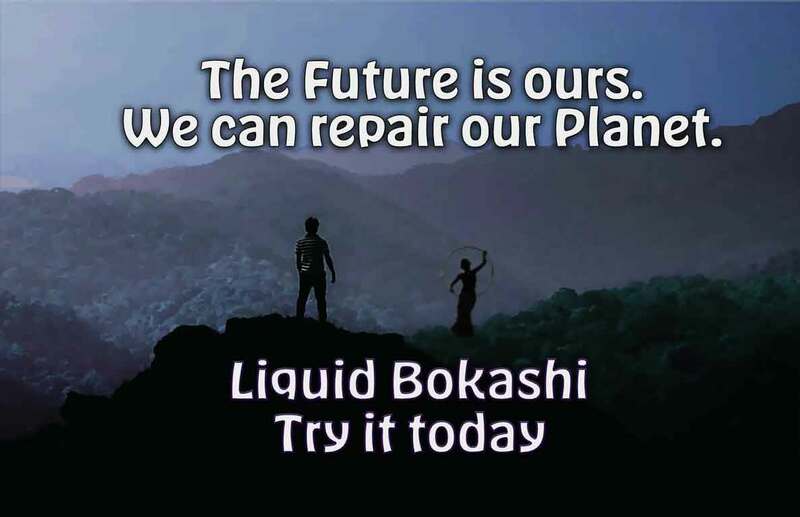 Liquid Bokashi and MannaTerra make it possible to transition towards a healthy future for our precious children. Tested successfully in greenhouses for home-grown use, community gardens, and industrial scale farms up to 350-450 hectares. A Miracle of Modern Science derived from Ancient Origins. By using Primordiogenic technologies from Tesla Earth in our daily lives, we can heal our planet. We provide the natural beauty of our living technology to inspire you. We’re Pioneering a new field of Science! Liquid Bokashi and MannaTerra are deliverable in containers ranging from 100ml bottles (for home-gardeners and household use) up to 30,000 liters stainless-steel tanker-trucks (for industrial agricultural applications). We love to meet up with fellow pioneers and explore new areas of scientific discovery. The adventure is about both, the exploration of new ideas and the people you are working with. We aim to bring about healthy progress and changes on a daily basis, in the way we think, feel and live. Ready for the Biggest Adventure of All? Over 90% of registered voters in the USA agree that Medicinal Marijuana prescribed by a doctor should be Legalized!